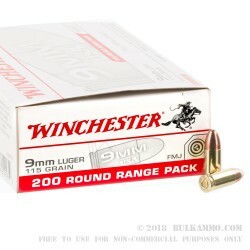 This 9mm Luger ammunition comes in a bulk packed case of 1,000 to keep your shooting costs down. 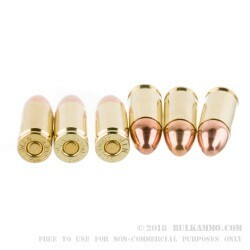 Each cartridge fires a 115gr full metal jacket bullet at a muzzle velocity of 1,190 feet per second. This is a light target load with relatively low recoil, making it ideal for extended range sessions. 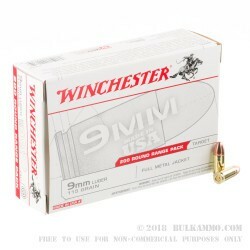 Like other Winchester ammo, these cartridges use non-corrosive Boxer primers and brass cases. This ammo features clean-burning propellants that help reduce fouling. Stock up at BulkAmmo.com and enjoy fast shipping direct from our warehouse to your doorstep! Use in my multiple Glock's. 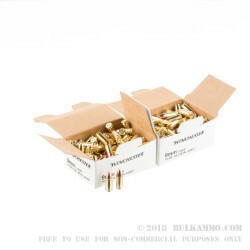 Q: Is this ammo new production and re-loadable? A: Hello! This Winchester ammunition is all new manufacture.